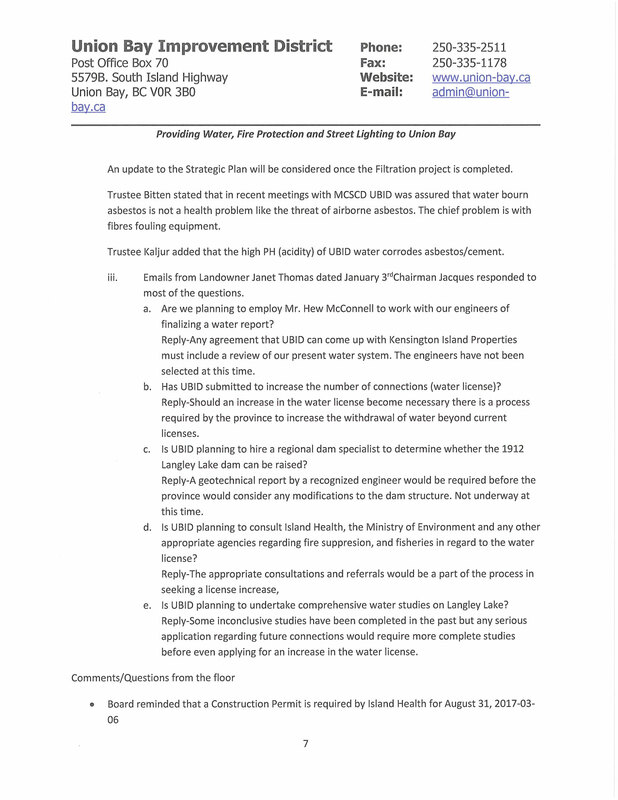 Update on the Missing and Incorrect Union Bay Improvement District Minutes: February and March 2017. The Administrator who can’t be corrected. I love his “thank you for your patience with this issue.” Who’s that directed at? Anyone else bring this to his attention? I have a feeling the Ombudsperson Office must have clued him in to the mistake but he’s going to make it more complicated. 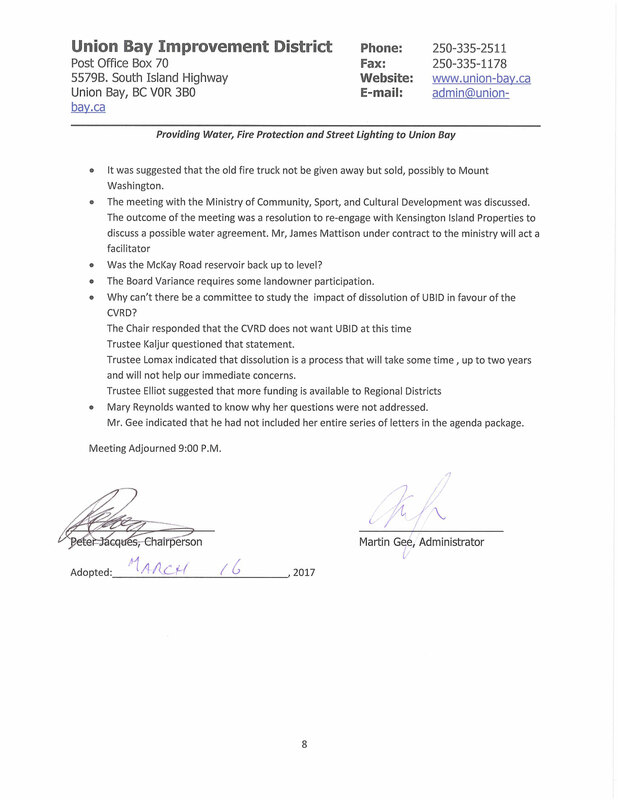 On June 29, 2017 the current Administrator uploaded the minutes of the meetings and I downloaded them. I noticed the Feb. and Mar. documents were almost identical except for the dates. 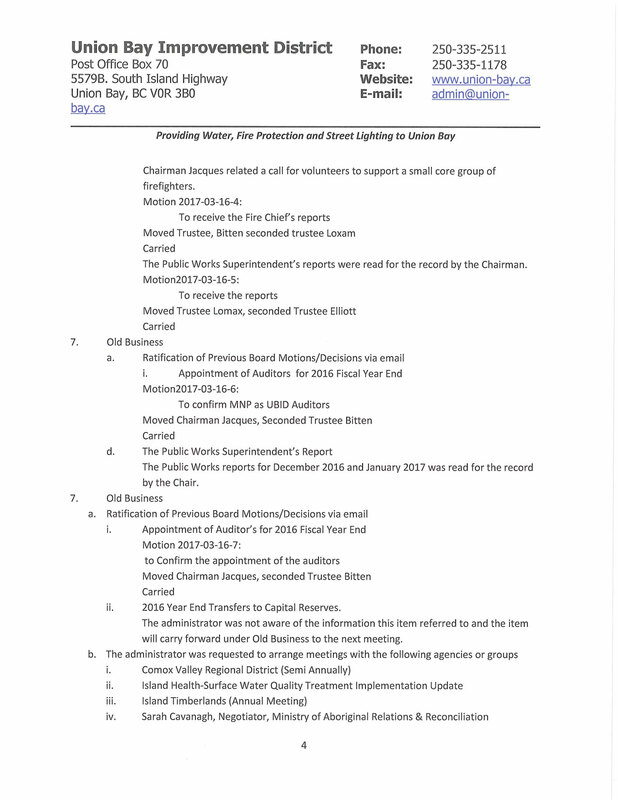 The Administrator then removed the Feb. minutes leaving the March minutes posted which were actually an incorrect version of the Feb. meeting. 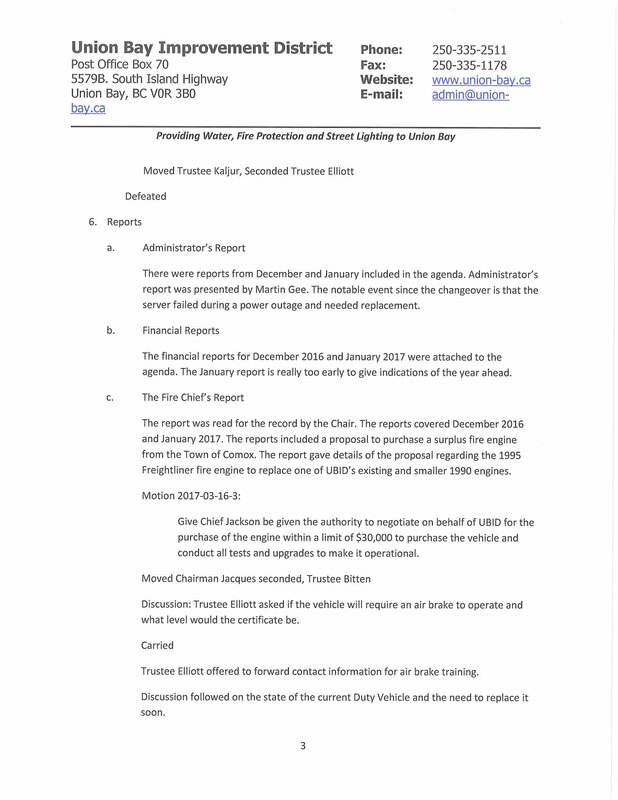 The Feb. minutes which the Administrator removed were the correct minutes. Luckily, I have video to compare the minutes to the actual meetings and confirmed the mistake. 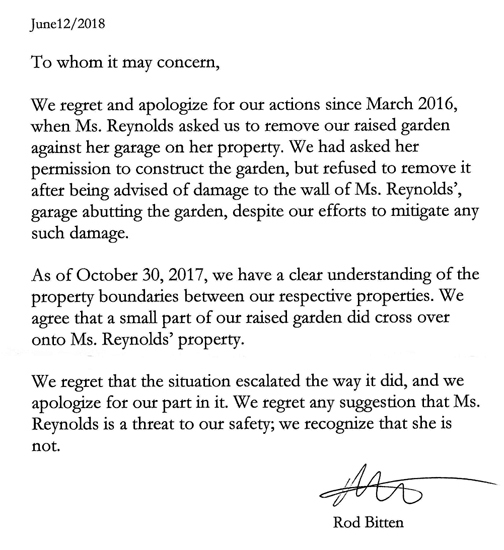 So here we are in October and now the Administrator acknowledges an error but what is he doing? He’s reverted Feb. and March minutes to ‘draft’ and he will have the board approve and sign at the upcoming October meeting. Why does he create more work for himself. 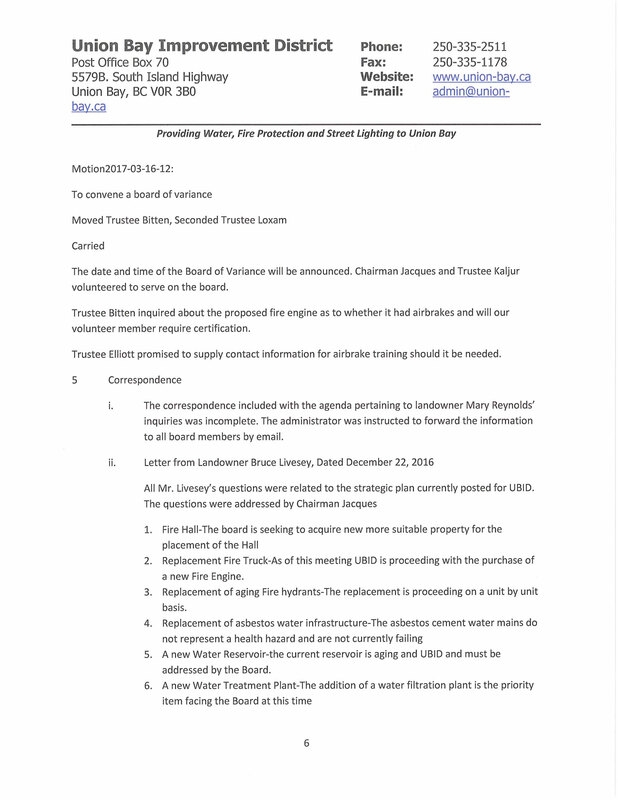 The signed minutes are at the UBID office. As you can see at the end of this post I have a copy of the signed Feb. 2017 minutes so I know they exist. 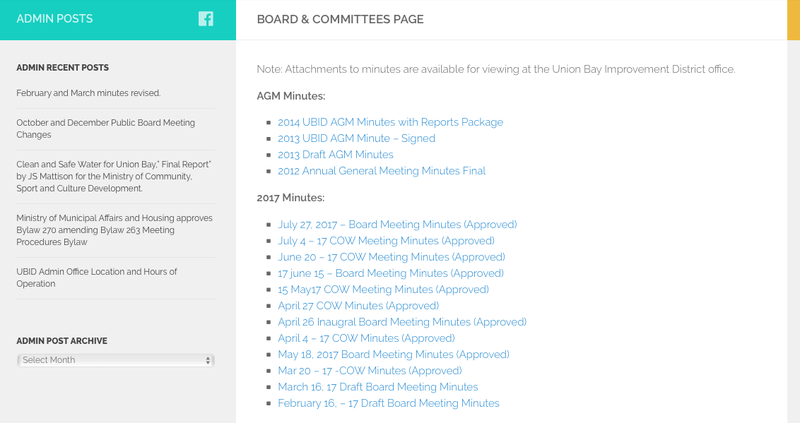 I note the March 2017 minutes posted on the UBID website are still not the actual minutes of the March 2017 meeting. The previous Administrator would have checked and his response would have been to advise me that he had in fact checked and then advise whether action needed to be taken. 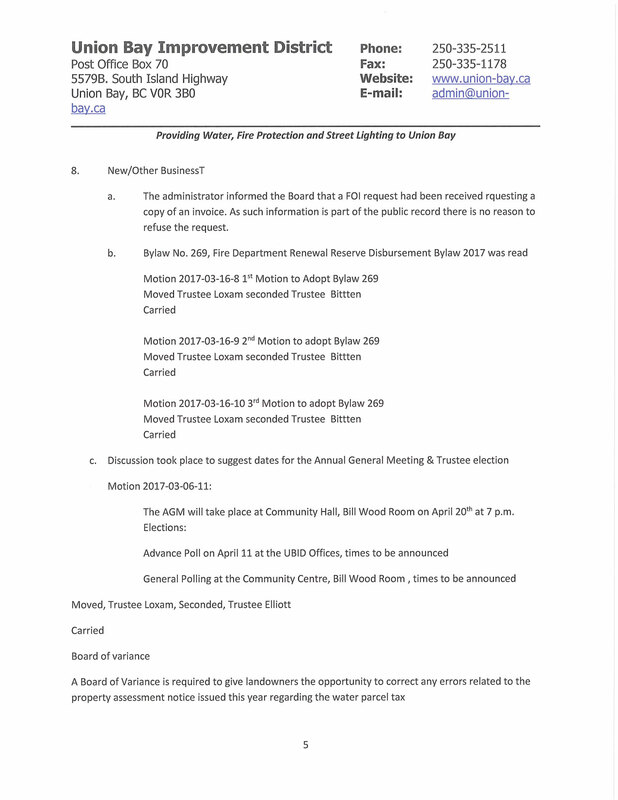 Your response does not indicate whether you have bothered to check to determine if the March 2017 minutes are actually from the March Meeting. To continue denying your error is a disservice to the landowners you serve. Someone direct this Administrator to correct this error. To ignore my emails when I am aware other landowners are receiving replies again proves this Administrator desperately needs training. The Administrator serves all landowners and that includes me. 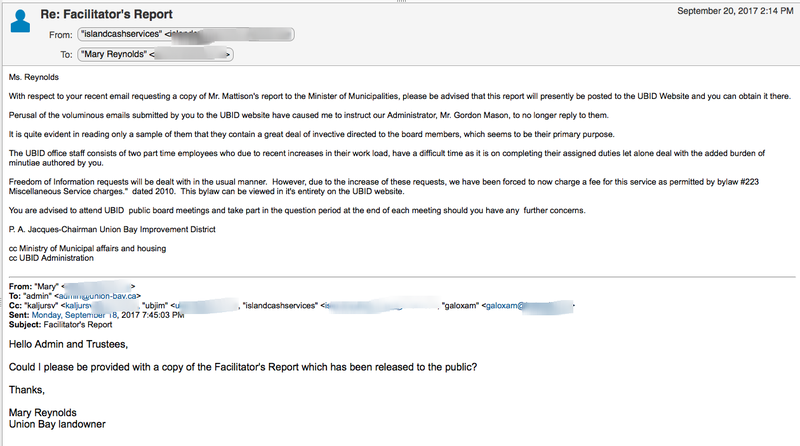 This Administrator makes more work for himself by constantly dodging questions. If he answered promptly and HONESTLY it would cut down on the work load. Since Oct. of 2016 this board has been talking about forming committees and yet not one has been formed. Where are all the supporters of the majority on the board? This board is a disgrace compared to the board prior to April 2016 and no progress in almost a year. The previous board planned and took action where this board has accomplished absolutely nothing. It’s disgusting. Correct me if I’m wrong but didn’t you post the attachments in late June? Although they are titled March and February, they are in fact the same document. Correct me if I’m wrong but in the attached screenshot from June 29, 2017 when these documents were posted on the UBID website both March and February are clearly listed (although wrong) and now the website lists only the March minutes which are not March. Regarding the videos of the meetings: what is a reasonable amount of time if you are having such difficulty with a few pieces of paper? I am once again requesting the minutes be put on the website as promised by the Admin at the July 27, 2017 meeting. All meeting minutes are up to date from the Time I assumed the position with UBID. The minutes identified as March are not from March. The minutes from the 2015 and 2016 AGM are still not posted. There no AGM minutes for either 2015 or 2016. I’m assuming these meetings never took place. Could someone direct the Administrator to correct and post? How long will it take to post the videos of meetings if it literally takes up to 6 months to post the minutes? We will have the videos posted in a reasonable amount time. 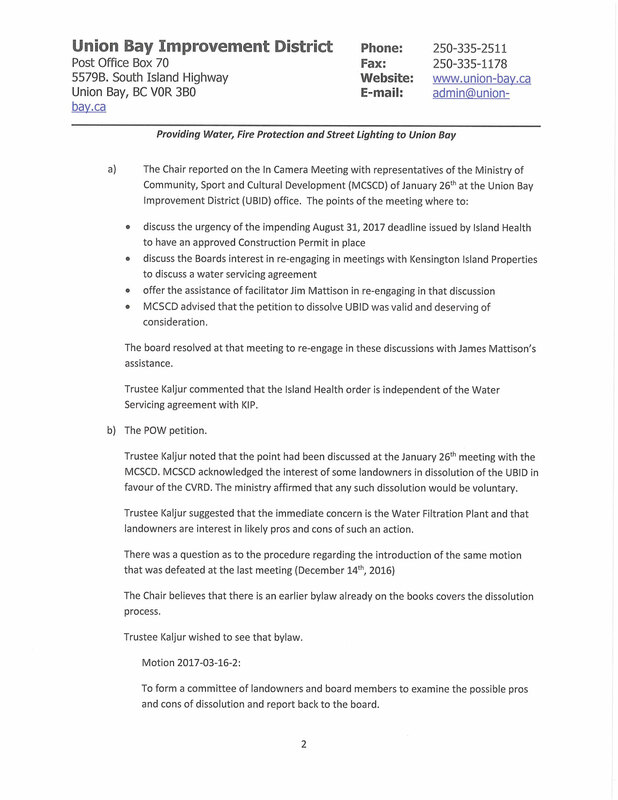 I noted the Admin stated at the July 27, 2017 meeting all the minutes of the meetings have now been posted on UBID’s website. The minutes from the Feb. meeting are still not posted. The 2015 AGM minutes are still missing as well. There is no need to have the minutes approved again – they have already been approved and signed! 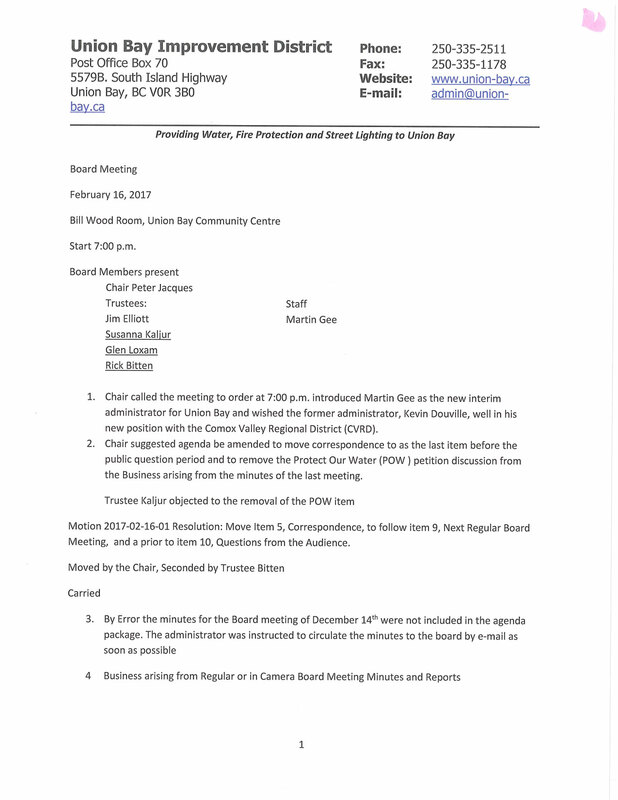 The March 2017 meeting minutes were approved at the May 2017 meeting because there was no regular Board Meeting in April due to the Union Bay Improvement District Annual General Meeting. Next Post Kensington Island Properties aka 34083 Yukon Inc., Like George Costanza, Suffers Shrinkage – Again!